There's no folklife in the Pacific Northwest. That's what the Smithsonian Institution concluded after some cursory fieldwork across the region. Originally slated to sponsor a folklife festival at the World's Fair in Spokane, the Smithsonian hired a filmmaker from New York named Bob Glatzer to coordinate a program showcasing foreign, American and indigenous traditions from the Pacific Northwest. Glatzer and his band of fieldworkers spent months combing the region in search of talented craftsmen and performers. But when they started their search, the Smithsonian wasn't impressed with what they found. As Glatzer told the Spokesman-Review in 1974, "the feeling by the Smithsonian was that the Northwest was the least interesting part of the nation." 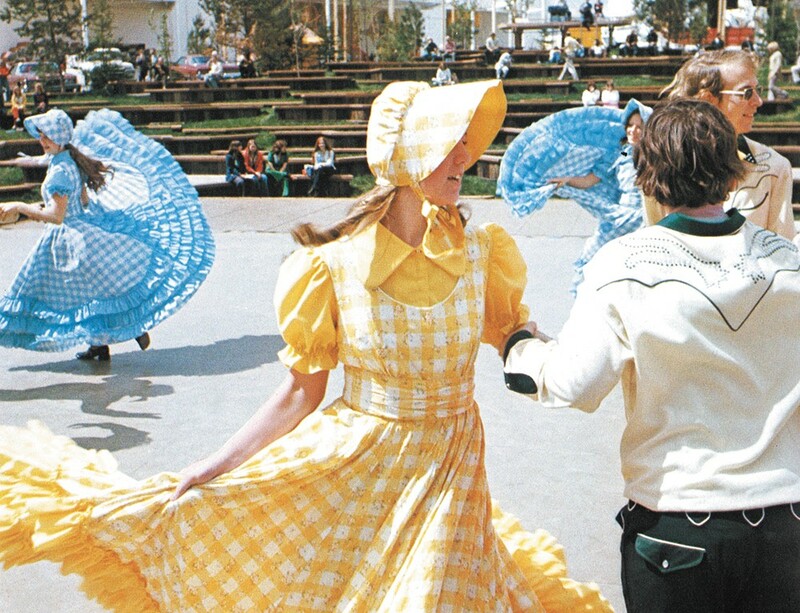 "And in the their ultimate wisdom, [the Smithsonian] decided there wasn't enough folklife in the Pacific Northwest to maintain a six-month World's Fair presentation," remembers Mike Kobluk, the director of performing and visual arts at the fair. "So they pulled out." Glatzer was devastated. But he and his director of programming, Susanne Tedesco, were committed to finishing what they started, and they discovered that the culture and heritage of the Pacific Northwest was much richer than anyone had imagined. Staged along the north bank of the Spokane River, exhibitors traveled to Spokane from all over Washington, Idaho, Oregon and British Columbia to demonstrate their craft and culture in exchange for room and board at Gonzaga University and a $15 per-day stipend. Lumberjacks scaled 80-foot poles, chopped wood and rolled logs. A Norwegian woodworker from the Puget Sound spent six months on site building a boat by hand. Old miners taught kids how to pan for gold (and occasionally slipped a piece of metal on the ground for children to find.) Northwest Indians constructed a traditional longhouse. Union Pacific loaned an old steam engine. Every week, on a designated site, a new ethnic group was invited to share their traditions. Russian Old Believers from Oregon showed off their beeswax candle-making. Estonians from Vancouver, B.C., performed traditional dances. A Chinese acupuncturist from Seattle displayed his work on a doll. Scots from the region played the bagpipe and served shortbread and haggis. East Indians did magic tricks.